In this week of excess, we’re covering gluttony in all its forms — from the traditional face-stuffing variety to people who can’t be regarded as anything other than a glutton for punishment. 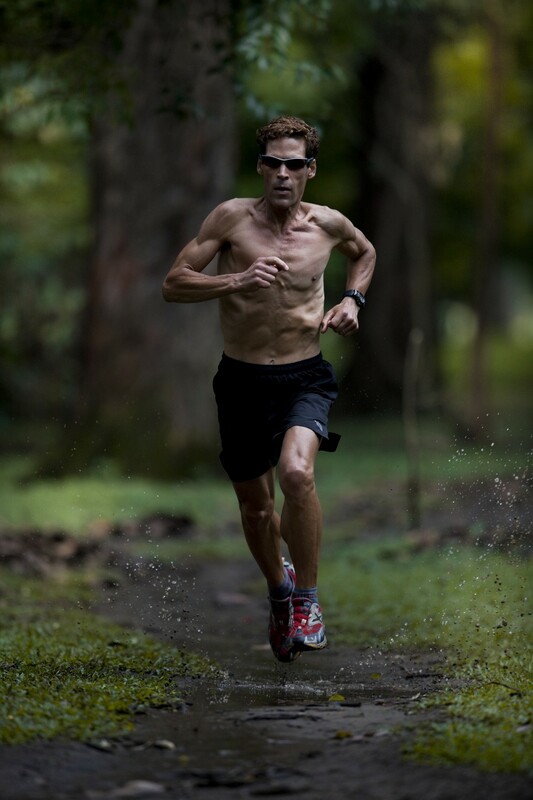 One of the best examples of the latter is Dean Karnazes, a 54-year-old endurance runner who once ran 350 miles over three days without even stopping to sleep. There’s something primordial that makes me run. Something in my DNA. There are theories that we were born to run, but I think we’ve repressed that impulse because in our modern world, there’s no need to run anymore. But some of us yearn for that sensation of freedom and movement, and running is the purest way to achieve it. The most painful as well. From a hereditary standpoint, I have a musculature that’s born for running. When I went to Greece to visit these villages in the hills where my family was from, I couldn’t believe that all of us looked alike. Even the ones that weren’t in good physical shape had amazing legs that had been passed down through the generations. Still, running 50 marathons in 50 days ended up being one of the most difficult things I’ve had to overcome. Some days, it felt like, Wow, this is getting easier. I’m not that sore. I can do this. But that feeling never lasted long. Soon thereafter, I’d have a bad day and start to second-guess myself. That’s why the 50 days was so meaningful, because there was never a point where I felt like, I’ve got this in a bucket. Literally, until I saw the finish line at the 50th marathon, I doubted whether I could make it. I’ve passed out before and had to be carried off a race course. That’s my commitment whenever I enter an ultramarathon [the name given to any footrace even longer than a regular 26.2-mile marathon, often in some of the world’s most intense climates] — they’re going to have to remove me from the course before I stop. Unless I feel like I’m doing some sort of permanent damage to my body, which I’ve never really felt like, I’m just going to keep going. It’s hard to describe the sensation of running 350 miles in one go — I was mentally somewhere else. As you’re running these distances, the mind slips away. Part of it is sleep deprivation; the other part is extreme exhaustion. But mentally, I can tell you I was somewhere else. At best, I remember bits and pieces: I remember the news station being there. I remember being interviewed. I remember a helicopter being overhead, filming. But even those memories are just fragments. I haven’t forgotten the multiple hallucinations either. I know from talking to other athletes I’m not the only one who’s had them. I’ve heard people say that mailboxes they’re running by turn into snapping dog heads. Other people have seen dinosaurs off in the distance. I actually had an old gold miner appear when I was running across Death Valley. He was so vivid; he had grey overalls and a big beard, and he came walking over to me with a gold pan. “Water, I need water!” he said to me. I poured some of my water into his gold pan and heard it sizzling on the pavement. That’s when I realized he wasn’t real. When things like that happen, you do question if you should be doing what you’re doing. But in the moment, you’re in survival mode; you’re just trying to persist. It’s not until you have a sober moment of reflection afterward that you think, Maybe this is what happens right before you die. 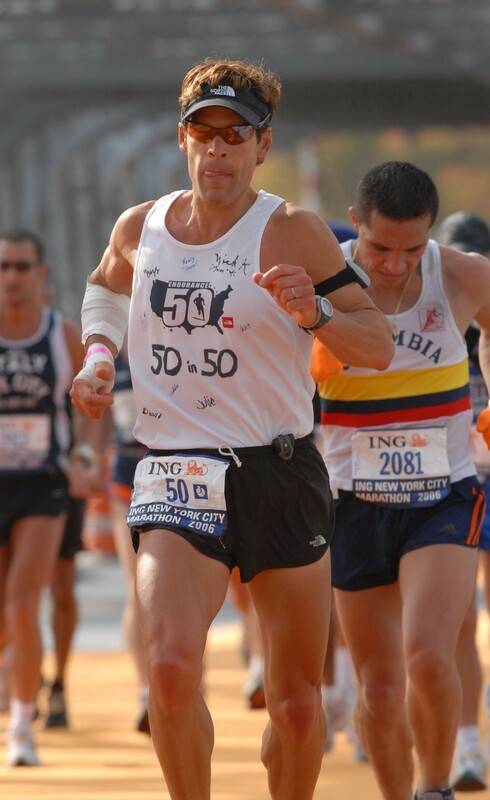 Running the Spartathlon in Greece while researching my new book, The Road to Sparta, was one of the toughest races I’ve ever done. I’ve competed all over the world and thought, Hey, it’s just a 153-mile run, how tough could that be? 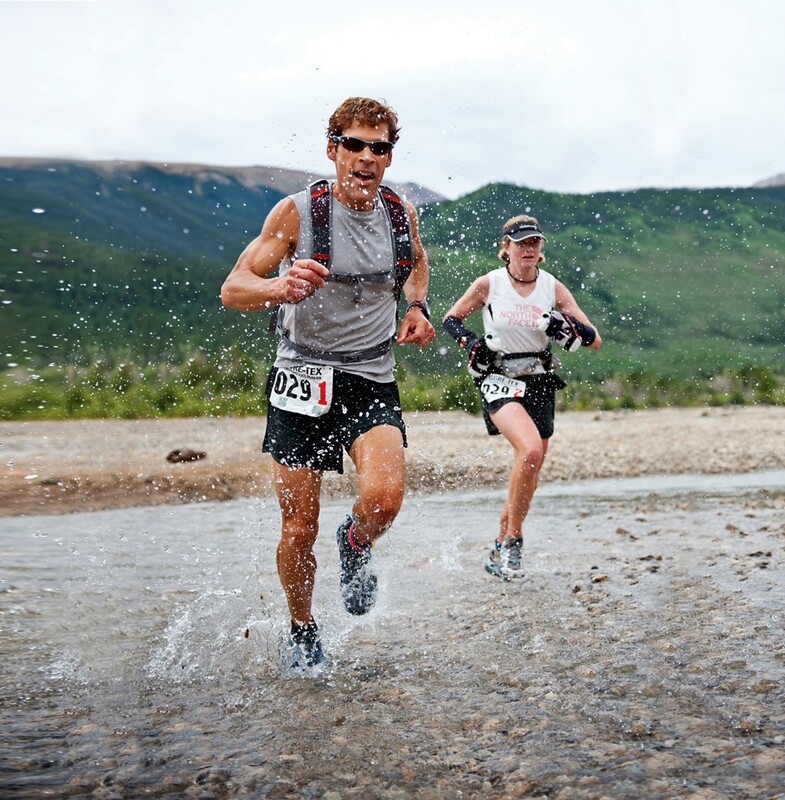 But the Spartathalon is one of the world’s toughest endurance events and it challenged me in new ways. I was trying to re-create the diet of Pheidippides — the messenger who saved Greece from the invading Persian army by running the original marathon — so I relied mainly on ancient foods. I only ate figs, olives, cured meat and something called pasteli, which is a ground sesame and honey paste. Nor did I have any electrolyte replenishment beverages along the way; I just relied on water. Using solely those foods to run that distance really tested me — Pheidippides died upon completing his run, and we could all have died as well. But I wanted to learn how this particular event changed the course of modern humanity. There had been so many rumors about the Battle of Marathon and the epic run afterward; I wanted to learn the truth. 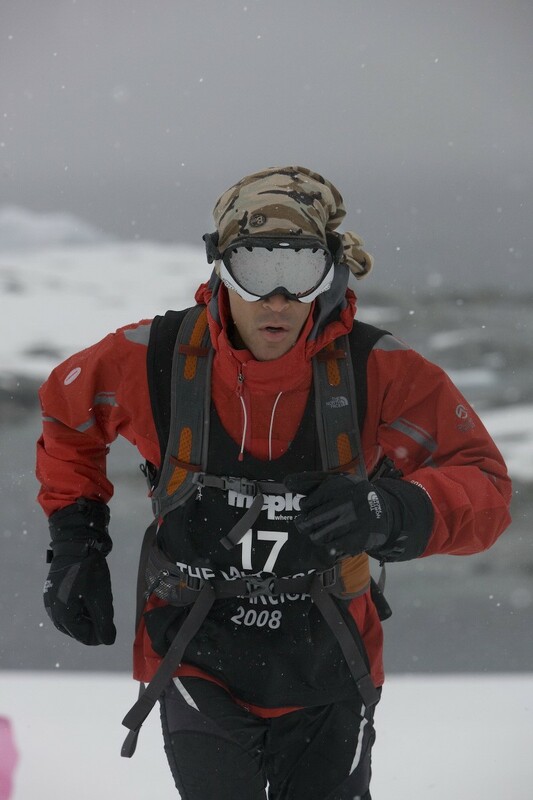 I’ve run ultramarathons on all seven continents. Twice now, I’ve run a marathon to the South Pole, and I’ve run across the Sahara. But my most challenging ultramarathon is raising a teenage daughter. Nothing is more brutal than that. It’s a test of everything you’ve got. My family never tries to talk me out of doing this. They just see my passion. It’s my identity and what I live for. So I don’t think they would question whether I should stop or not. To my kids, this is how they’ve known me their entire lives — this is my job. A race where I pass out is just a tough day at the office. I was a millionaire before I was 30 thanks to my job, but I gave it all up to be an endurance runner — it was the scariest thing I’d ever done. I had a stable paycheck, free health care, stock options, a company car. To give all of that up to try and make a living doing something where I’m not sure how I’m going to create any revenue streams was terrifying. But it was also very liberating because I didn’t like the office job I was doing before. Some people live their entire lives in a state of quiet desperation; I saw the writing on the wall, however. I was either going to be one of those folks who lived conventionally, or I was going to take some risks and find out who I really was. I’ve chased a lot of dreams, and most of them I’ve caught. Pretty much everything I’ve ever attempted has been completed, but there are still many dreams that are works in progress, and hopefully I’ll achieve those as well. When I’m running, I don’t think about anything but the present moment of time. All I try to do is put one foot in front of the other to the best of my ability. I just say to myself, “Take your next step, take your next step, take your next step.” I don’t think about anything beyond that. It’s almost a Zen-like trance state. If you get yourself there, you’re able to push through a lot. It does require tremendous mental discipline since it’s not easy to get your head in that place. But when I want something, it’s pretty black-and-white. I don’t see shades of gray. It’s just full-on commitment until I achieve my goal — or I die trying. That’s just my mindset.